Bone regeneration is a complex process requiring an orchestrated number of molecular and cellular mechanisms. Although bone regeneration takes place throughout a lifetime for normal healing, regeneration may be impaired by pathological states such as osteoporosis, osteonecrosis, and non-union fractures. Currently, a number of therapies are available for treating pathogenesis, such as autologous bone grafts, small molecule agents, tissue engineering, and the use of osteoprogenitor cells. Other therapies including small compounds, growth factors, and cytokines are being used for a targeted approach. Orthobiologics are also being used for healing bones. The use of mesenchymal stem cells and osteoprogenitor cells as enhancers of healing is also being considered as a regenerative therapeutic approach. Biomaterial approaches using synthetic osteoconductive scaffolds are already in clinical use and continue to advance and gain traction as regenerative aids. Recent advances in scientific understanding of the molecular and cellular processes underlying bone regeneration have elevated therapeutic techniques to new frontiers. This book provides an overview of the bone biology in normal homeostasis and in pathological conditions, along with clinical therapies currently considered and those being developed for future use. Considering bone health is essential for maintaining the health of vertebrate animals as a whole. While bones are susceptible to injury, they also have excellent regenerative capacities, which bring about great interest among researchers in varied disciplines. In this book, we have compiled a series of chapters from the diverse points of view of experts in different fields. The cellular and molecular mechanisms regulating bone biology are examined at length. The importance of hormonal regulation on bone homeostasis and in pathological states is explored over several chapters from different vantage points. The unique role of the vascular system in bone regeneration and the molecular mechanisms involved are discussed. Clinical advances in bone healing are described, and current research on biomaterials and stem cell based approaches is presented. 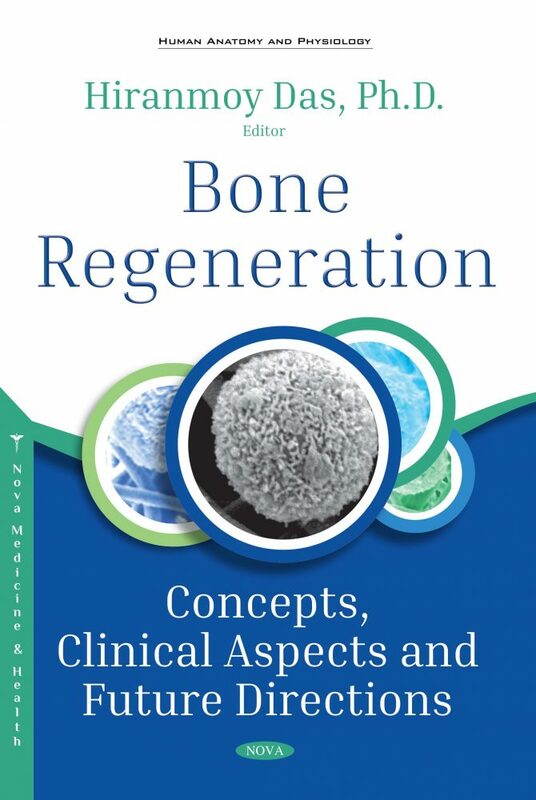 These chapters provide a number of perspectives on what is currently known and being discovered in the field of bone biology, which impacts the clinical approaches used today and in the future.